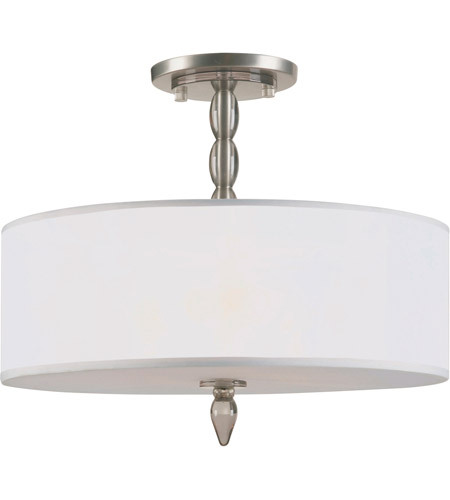 Q Are there glass orbs on the rod? 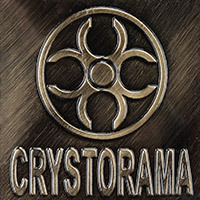 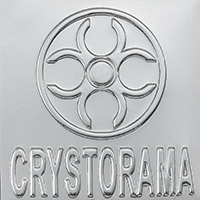 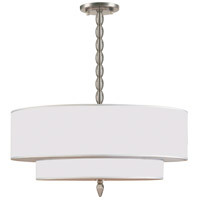 A The Crystorama Luxo 3 Light Chandelier 9505-SN does have glass pieces covering the center stem. 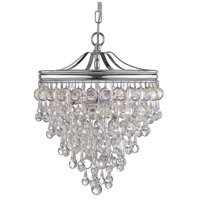 Q Is the diffuser glass or plastic? 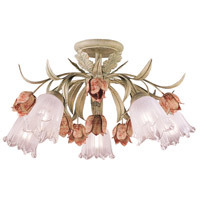 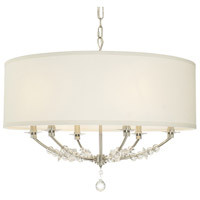 A The Crystorama Luxo 3 Light Chandelier 9505-SN has an Organza drum shade. 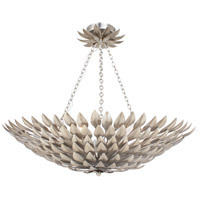 The diffuser is part of the shade and is also made of Organza.